It is no secret that healthcare costs are on the rise. One of the significant factors attributed to the rise in healthcare costs is the increase in administrative spending in healthcare facilities. Healthcare organizations are dynamic and complex, and they need equally flexible and responsive administration to oversee the flow of information and services to allow a facility to provide effective healthcare. Healthcare administration involves a cohort of individuals. They not only must work to comply with existing healthcare laws, but they must also strive to improve efficiency and manage both the facilities and the finances of a healthcare provider. Often healthcare administrators have unique specializations depending on the function of the facility at hand. These might include health information managers. These are the individuals responsible for the coordination and management of the flow of information between the various arms of a facility, including the information of patients, doctors, accountants, marketing and finance, and insurers. All of this information has to manage under one system, and this will involve extensive use of databases and information technology. Healthcare administrators are very concerned with financial reporting, and the healthcare administrator may have no medical training. Other specialization’s address various segments of the population such as nursing home administrators, veterans hospital administrators, as well as clinical managers. These are the individuals responsible for staff and organization at the clinical level. Often, healthcare administrators need specialized training to perform their duties, and states require varying degrees of licensure for the health care administrator to maintain their accreditation. Managing a healthcare facility can be very complex, and decisions often have strong repercussions not only at the clinical level, but across an entire facility. For example, a change in the billing system that a facility uses to an upgraded system affects not just a small office where the system is implemented, or even the database of that system, but the entire operational apparatus of the healthcare facility. A healthcare administrator must keep this system running smoothly while still allowing the facility to provide patient care. No one would see a doctor if they were told by the staff that no patients were being seen because the system to check in patients was broken. Therefore, the task of integration is essential to good healthcare management, since embedding administrative rules into new and existing systems simplifies the system. Thus, the nature and function of a healthcare facility require that the healthcare manager provide leadership as well as the supervision and coordination of employees in a healthcare organization, particularly in support of the necessary tasks involved in providing services. These require the coordination of many highly specialized disciplines that must work together faultlessly. Healthcare managers need to ensure that a healthcare organization’s tasks are carried out in the best possible way to achieve a healthcare organization’s goals. Importantly, the healthcare manager makes sure that the appropriate resources, including the financial and the human resources, are adequate to support a healthcare organizations operational goals. Jane Reeves writes for health education sites. 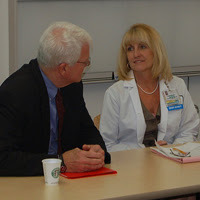 Many schools offer a Masters in Healthcare Administration degree. Morgan Lindman writes for health and beauty blogs and recommends checking out Dr. Buford for your procedure.